The Official Homeschoolers Anonymous “13:24” Giveaway! 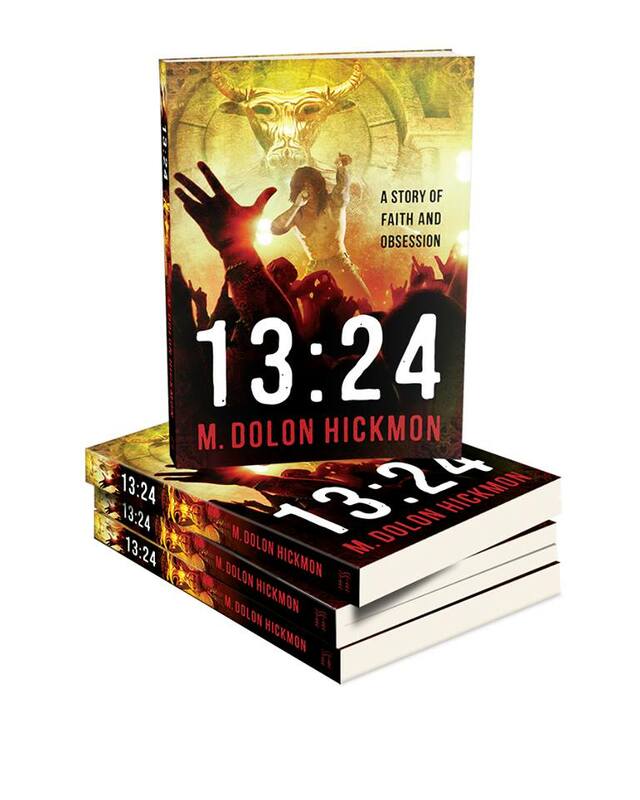 Homeschoolers Anonymous is pleased to announce that we are teaming up with M Dolon Hickmon to give away free copies of his powerful new novel, 13:24. We are giving away a total of 10 books, 4 via Facebook, 3 via Twitter, and 3 via Pinterest. We are also giving away one “grand prize” package, consisting of a special print edition (with a unique cover and limited edition artwork) and a “Rehoboam” t-shirt. a. “Like” our Facebook giveaway post here. b. After liking our Facebook giveaway post here, leave a comment on the same post about why you’d like to read 13:24. To enter the Twitter giveaway, you must do one thing: Retweet our giveaway tweet here. To enter the Pinterest giveaway, you must do one thing: Re-pin any one of our 13:24 pins: this one or this one. If you enter all three of our giveaways, you will be eligible for the “grand prize” drawing as well. 1) You must be at least 18 years old to enter. 2) You must be a resident of the United States. 4) You can win only one giveaway prize total. 5) Winners will be randomly selected from all entries. 6) To be eligible to win the “grand prize” package, you must enter all 3 of the giveaways. The giveaway opens immediately and will close this Friday, April 18, at 12 pm PST. Winners will be announced via Facebook, Twitter, and Pinterest shortly thereafter. Legal disclaimer: This giveaway is coordinated by Homeschoolers Anonymous and M Dolon Hickmon. Facebook, Twitter, and Pinterest neither endorse nor are sponsoring the promotion. No purchase is necessary to participate in this giveaway. All promotional material and images from 13:24 are shared with permission by Rehoboam Press. Homeschoolers Anonymous is receiving no compensation for promoting 13:24. If you lack access to Facebook, Twitter, and Pinterest and would like to nonetheless participate in the giveaway, please email us at homeschoolersanonymous@gmail.com for entry. My Pinterest isn’t my name – it’s languageclass and I pinned it under “Educational Readings.” This would be good reading for all. Thanks for the heads-up! I have noted all 3 of your entries so you’re entered for all of them plus the grand prize as well. A book giveaway not to be missed. i re-tweeted this post on twitter using my real name, though it may appear as aball001@neo.rr.com I am feeling technologically challenged with facebook, keep trying to log in and it has locked me out of my account, am totally blind so must listen to the audio version of the security code. In any case, 13-24 is well worth reading. We might not like to think that such abuses as the Michael-Pearl-like father perpetrates in the book take place, and it may make for stomach-churning reading, but it is crucial that we know about these things. I devoured Janet Heimlich’s “Breaking Their Will” and Meg Mosley’s “When Sparrows Fall” and “1324” will be a welcome addition to my library. It will fill a need for fiction that raises our awareness of abusive child discipline in Christian settings.. Thank you for the comment, andrea! I saw the retweet and you are definitely entered into the giveaway. We’ll be announcing winners this Friday and will make sure everyone knows who wins.